This topic contains 2 replies, has 3 voices, and was last updated by Sanikapatel 2 years, 7 months ago. Explain CNC and give its types. Computer Numerical Control (CNC) is a Numerical Control (NC) system in which a stored program is used to automatically control the movements and operations of a machine tool. 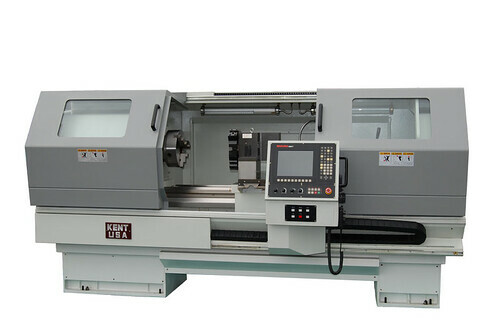 Computer Numerical Control (CNC) Machining is a process for the manufacturing sector that involves the use of computers to control the machine tools. Tools that can be controlled include mills, lathes, routers, and grinders. The concept of numerical control(NC) is a widely accepted and commonly used term in the machine tool industry. This enables the operator to communicate with machine tools via a series of numbers and symbols. NC which then became Computer Numerical Control (CNC) brought rapid changes to the metal industry. New machine tools in CNC have helped the industry to consistently produce parts to attain accuracies that were dreams only a few years ago. The same part can be again produced to the same degree of accuracy any number of times if the CNC program has been properly developed and the PC properly programmed.